On June 17 and 18, doctors, health researchers, and other medical leaders convened at the Omni Hotel in downtown San Francisco with a common goal: presenting and promoting the evidence for the medical, social, and financial contributions of community health workers (CHWs) in diabetes prevention and management. Collectively, the attendees presented research that has been conducted across several countries in addition to the United States: Cameroon, Canada, China, Thailand, and the United Kingdom. The conference provided a productive platform for attendees to exchange ideas, discuss diabetes management methods within different cultural contexts, and identify how to best institutionalize CHWs within the health system without compromising their unique, localized contributions to their communities. The two-day program was divided into two structures of activity. On the first day, attendees broke into two groups in order to learn more about topics for which they had less prior knowledge. Two CHLPI students, Nina Souliopoulos and Qing Qing Miao, had the privilege to present CHLPI’s papers to conference participants. The day concluded with a dinner and rich panel presentation from CHWs of the Bay Area peer support programs who have applied their personal experiences from managing disease to helping other patients manage their illnesses. The second day was a marathon event that alternated between presentations by Peers for Progress research grantees and discussions of the research, all of which were divided among three topics: (1) outcomes of applying peer support education and interventions in diabetes self-management; (2) challenges in peer supporters program development; and (3) the technological and cultural methods for diabetes management. Personal highlights came from the introduction given by Ed Fisher, the Global Director of Peers for Progress. Mr. Fisher set the attitude for the conference, directing our attention to the very basic human function that peer supporters (including CHWs) serve within their respective communities. Patients with diabetes and other chronic illnesses might be able to access medication for disease self-management; however, without the support, guidance, and care of individuals with similar conditions to whom they can relate, patients cannot achieve a level of recovery as they would otherwise. “We like to be with, be around, have contact with, and engage with other people,” Fisher stated in reference to Harlow’s famous Reesus Monkey study that he presented along with his point about the human need for social interaction. Another presenter was Justin M. Nash, Ph.D. in the Departments of Family Medicine and Psychiatry & Human Behavior at Brown University, who discussed an issue raised in CHLPI’s white paper, Community Health Worker Credentialing. “We need to be sure we don’t lose the uniqueness of the peer supporter and what the peer supporter brings to the community,” he emphasized, driving home the point that policymakers need to be careful to avoid setting standards and competency thresholds that exclude many effective peer supporters. Lastly, Charlie Alfero, representing the Hidalgo Medical Center, honed in on the systemic dilemma underlying the previous presentations. “From what I have observed, the common theme across all the presentations is that the basic healthcare system – even…the stronger ones…lack adequate support.” Across different continents, the medical infrastructure for diabetes management will continue to operate inefficient and unsustainable models of healthcare until we collectively shift our model of care and support for patients. Community health workers, or peer supporters, seem to be one of the most promising avenues for this shift. The recently-launched 2014 North Carolina State Report: Providing Access to Healthy Solutions (PATHS) – An Analysis of North Carolina’s Opportunities to Enhance Prevention and Management of Type 2 Diabetes, has gained attention both in North Carolina and across the country from healthcare policymakers, advocates, and the press. On Thursday, March 27, 2014, the Harvard Law School Center for Health Law and Policy Innovation (CHLPI) hosted the New Jersey Diabetes Leadership Forum in Trenton, New Jersey, at the historic War Memorial. The Forum featured the public release of CHLPI’s 2014 New Jersey State Report: Providing Access to Healthy Solutions (PATHS) – An Analysis of New Jersey’s Opportunities to Enhance Prevention and Management of Type 2 Diabetes, a project funded by the Bristol-Myers Squibb Foundation (BMSF). Legislators, state agency policymakers, and community leaders attended the event to learn about the findings and recommendations in the report and discuss priorities for moving forward. The Forum was successful in bringing together key advocates from both the primary prevention and health care sectors in an effort to address type 2 diabetes across the state. Harvard Law Professor and Director of CHLPI Robert Greenwald opened the event with an introduction highlighting the importance of the report’s recommendations. “The fun begins after today,” Greenwald noted in encouraging participants to transform the report’s research into reform efforts. Patti Doykos, from the BMSF’s Together on Diabetes™ initiative, reiterated this message in her introduction to the day’s events. Senator Stephen Sweeney, President of the New Jersey Senate, gave an opening address advocating for action on diabetes policy. “There are 700,000 people in New Jersey with diabetes. I’m one of them,” Sweeney told the audience. Sweeney shared his personal struggle in discovering he had type 2 diabetes and how the disease has been “very hard” for him to manage. Sweeney advocated for improved diabetes education and thanked Harvard Law School for participating in the development of diabetes solutions for the state of New Jersey. “I’m in your corner,” Sweeney told the audience. Professor Robert Greenwald, Director of the Harvard Center for Health Law and Policy Innovation, and Senator Stephen Sweeney, President of the New Jersey Senate. Next, Christene DeWitt-Parker from the New Jersey Department of Education presented the perspective of schools coping with a high rate of diabetes among school-aged children. DeWitt-Parker discussed the importance of both diabetes management and prevention on school grounds. This address was followed by a presentation by report co-authors Amy Katzen and Allison Condra on the report’s findings. First, Condra discussed recommendations for the prevention of type 2 diabetes, including improvements to both economic and geographic access to healthy foods, healthy foods at schools, and improving the built environment to facilitate physical activity in communities. Second, Katzen discussed proposals for improving the treatment and management of the disease, including access to care and insurance coverage for needed services. NJ PATHS Report co-authors Allison Condra, Clinical Fellow in the Harvard Food Law and Policy Clinic, and Amy Katzen, Clinical Fellow in the Harvard Health Law and Policy Clinic. Dr. Kemi Alli, Chief Medical Officer at the Henry J. Austin Health Center and Secretary of the Executive Committee of the Trenton Health Team. Fran Grabowski, Lead Diabetes Educator for the Camden Citywide Diabetes Collaborative and Program Manager at Cooper Diabetes Center. Over lunch, Dr. Anthony Cannon discussed the economic impact of type 2 diabetes in New Jersey, calling for action to decrease these personal and societal costs of the disease. The presentation of the NJ PATHS Report, panels on recommendations, and speaker addresses led to a Roundtable Discussion in which Forum participants could discuss these issues themselves. Approximately sixty individuals from community-based organizations participated in the Roundtable Discussion. Together, these community leaders praised the recommendations in the report and highlighted several broad themes, such as increasing collaboration and communication among activists, expanding the implementation of programs to increase consumption of healthy foods, and improving insurance coverage for prevention and management programs. Conversation about possible collaboration continued over a reception, where participants discussed the report further with the CHLPI authors and with each other. Overall, the Forum was extremely successful in ensuring that the PATHS report serves its primary purpose—to provide a necessary resource for policymakers and community leaders in continuing their efforts to address type 2 diabetes in New Jersey. Diabetes advocates will be moving forward with the recommendations they identified as most important, and with the resources and detailed recommendations from the report, they have hope that they will be successful in reducing the type 2 diabetes epidemic in New Jersey. The recently-launched 2014 New Jersey State Report: Providing Access to Healthy Solutions (PATHS) – An Analysis of New Jersey’s Opportunities to Enhance Prevention and Management of Type 2 Diabetes, has gained attention both in New Jersey and across the country from healthcare policymakers, advocates, and the press. Read below for a compilation of news items about the Report and related events. American Pharmacist Association’s Pharmacy Today: Harvard Law School: Include pharmacists on diabetes care teams. NJ Spotlight: Report, Conference Recommend Ways to Reduce Rise of Diabetes in NJ. Burlington County Times: Raising Awareness of Diabetes in NJ. The Daily Journal: Fighting Type 2 Diabetes and Obesity in the Local Area. PR Newswire: New Jersey Diabetes Leadership Forum Highlights Prevention and Management Solutions for Type 2 Diabetes. CHLPI Website: Syringes, Pens, and Pumps: New Jersey Diabetes Educator Demonstrates the Challenges of Managing Insulin Dependence. CHLPI Website: From Open Streets to Cooking Classes, New Jersey PATHS Speakers Highlight Innovative Healthy Solutions. CHLPI Website: Statistics Are Not the Whole Story: Dr. Anthony Cannon’s Keynote at New Jersey PATHS Event Makes the Diabetes Epidemic Personal. CHLPI Website: CHLPI Clinicians and Students Travel to New Jersey to Launch Report on Diabetes. Harvard Law School Clinical and Pro Bono Programs Website: Clinical Fellows and Students Collaborate on PATHS Report. Clinical Fellow Maggie Morgan presents on the importance of integrated, whole-person care for people living with Type 2 Diabetes. On June 9th, the Center for Health Law and Policy Innovation (CHLPI) hosted the Western North Carolina Diabetes Strategy Forum at UNC – Asheville in order to address diabetes prevention and management throughout the Western region of the state. The population of Western North Carolina has a particularly high rate of diabetes at 12%. Western North Carolina faces particular regional challenges in preventing and managing type 2 diabetes, such as a lack of public transportation to medical services, low access to healthy food, and a shortage of medical providers. The strategy forum convened local diabetes leaders from a range of disciplines including endocrinologists, clinical pharmacists, certified diabetes educators, and community health workers for an in-depth conversation about the current state of the disease in Western North Carolina and how to best move forward. Harvard Law Professor and Director of CHLPI, Robert Greenwald, kicked off the event along with Patti Doykos, Director of the Bristol-Myers Squibb Foundation. The introductions highlighted the importance of the recommendations within CHLPI’s comprehensive 2014 North Carolina State Report Providing Access to Healthy Solutions (PATHS) – The Diabetes Epidemic in North Carolina: Policies for Moving Forward. Both Greenwald and Doykos emphasized that the Forum is only the first step in identifying opportunities for policy reform and eexpressed commitment to transforming the report’s research into advocacy and reform efforts. 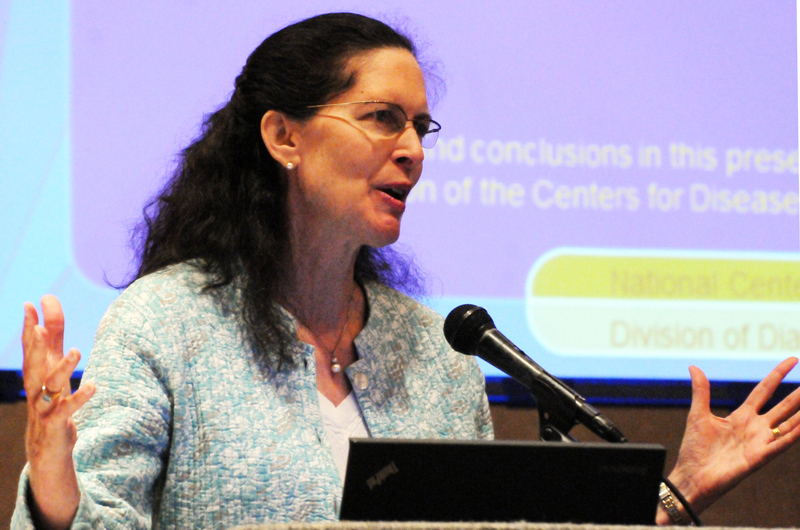 Participants in the Strategy Forum heard from Dr. Wendy S. Lane of the Mountain Diabetes and Endocrine Center in Asheville about the gaps in care for people living with diabetes. Dr. Lane explained that a combination of providers having little time to spend with patients and a lack of diabetes-specific training and education often resulted in delayed referrals from primary care doctors to specialists, putting patients at risk of developing complications. For example, Dr. Lane related an experience in which a patient came to her that had been living with diabetes for over 18 years. By the time Dr. Lane saw the patient, he had bleeding in his right eye and nerve damage in his legs. During those eighteen years, just one mile from Dr. Lane’s office, his primary care physician had attempted to manage his treatment with a kind of insulin that had been disfavored for at least a decade. Dr. Lane’s anecdote highlights the need for better diabetes-specific training incorporated into medical school curricula, and timely referrals to specialists. Dr. Lane recommended that medical residents spend at least four weeks practicing under trained endocrinologists, especially as diabetes is one of the most common conditions they’ll see as primary care providers practicing in Western North Carolina. Presenting on Graham County’s Greenway Project and the Reimagining Robbinsville project. Each project will revitalize Robbinsville’s downtown, while increasing sidewalk connectivity and cultivating a community of walking and biking. Presenting on the potential benefits of Accountable Care Organizations (ACOs) within the Western North Carolina hospital network. ACOs are groups of various medical providers who join together to deliver coordinated care to patients in the hopes of increasing quality of care while decreasing cost. Presenting on the YWCA’s Diabetes Wellness and Prevention Program. Participants in the program receive personal fitness training, diabetes education from medical providers and other health professionals, and access to support groups and cooking classes. The forum concluded with a roundtable discussion in which participants identified priorities for improving diabetes prevention and management within Western North Carolina in the coming years. Community leaders addressed several themes, such as increasing collaboration and communication among providers and community health resources, educating patients on proper diabetes self-management techniques, and increasing insurance coverage for prevention and management programs. They also learned of one another’s great work within the region and forged new connections that will advance the goal of improving access and quality of diabetes healthcare in Western North Carolina. Dr. Ann Albright, Director of the CDC’s Division of Diabetes Translation, presents on the efficacy and importance of the Diabetes Prevention Program. In continuation of its efforts to provide comprehensive policy recommendations for the prevention and management of type 2 diabetes, the Harvard Law School Center for Health Law and Policy Innovation (CHLPI) recently launched its 2014 North Carolina State Report: Providing Access to Healthy Solutions (PATHS) – The Diabetes Epidemic in North Carolina: Policies for Moving Forward. The launch took place in Raleigh, North Carolina and began with a Diabetes Leadership Dinner on May 29th followed by a Strategy Forum on May 30th. Similar to its counterpart New Jersey report released earlier in March, the North Carolina report provides detailed coverage of the current landscape of diabetes care and offers both broad and specific policy initiatives to strength federal, state and local efforts to improve type 2 diabetes care. Funded by the Bristol-Myers Squibb Foundation through the organization’s Together on Diabetes Initiative, the report comprises the second phase of PATHS’ state-level policy reform initiatives in New Jersey and North Carolina. Selected for their opportunities to receive and implement federal-level recommendations, these pilot states possess both the momentum and infrastructure to sustainably implement findings from the report. The North Carolina report is the final product of the efforts of the CHLPI Clinical Fellows, Maggie Morgan and Sarah Downer and the clinical student Tiffany Lopinsky. Developed over the course of 18 months, the report incorporates extensive interviews with over 90 key stakeholders and community partners, who shared insights into the barriers involved in mitigating the health impacts of diabetes. The PATHS report provides both the contextual and structural analysis of institutional systems currently installed within North Carolina and recommends policy to help the state move forward with its health initiatives. Touching upon the social, legal, environmental, and financial dimensions of diabetes care, the report underscores two broad areas of policy: disease prevention and disease management. Detailed recommendations spanned the following topics: increasing economic access to healthy foods for the underserved; improving the food retail and transportation infrastructure to help individuals access healthy foods; implementing early childhood interventions through school food and wellness programs; embracing community resources to build a social support network for patients; implementing a coordinated system of whole-person care involving primary and special care, self-management education, community health workers; and increasing access to health care providers. CHLPI initiated its launch with a Diabetes Leadership Dinner, inviting key interviewees and other notable partners such as Patti Doykos, the Director of the Bristol-Myers Squibb Foundation. Opening the event with warm introductions was Robert Greenwald, the Director & Clinical Professor of Law at CHLPI. Greenwald introduced the mission of the Center to improve health outcomes and reduce health disparities, highlighted the strategic legal moves and actionable recommendations underlying the report, and put forth the “whole-person patient centered” treatment approach that PATHS advocates. In closing, he emphasized the imperative for community and state support in steering the trajectory of diabetes care as it changes within a rapidly transforming health landscape. Following Greenwald’s introduction was a keynote address presented by Dr. John Buse, Chair of the National Diabetes Education program. 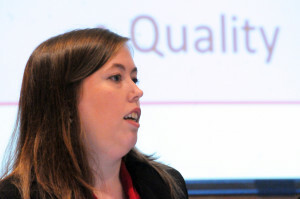 In his presentation titled “A Clinician’s Perspective of Diabetes Priorities in North Carolina,” Dr. Buse underscored studies supporting the efficacy of lifestyle interventions on decreasing the incidence of comorbid diseases. Unfortunately, the populations most vulnerable to diabetes complications are minority groups, which are disproportionately affected by the disease. In North Carolina, diabetes is twice as likely to affect minorities. According to Dr. Buse, segregation and income are the two most prominent factors for health disparities. To eliminate this health gap, he proposed a three-pronged approach of expanding insurance coverage, helping individuals access diabetes self-management education, and developing community health workers & peer support. 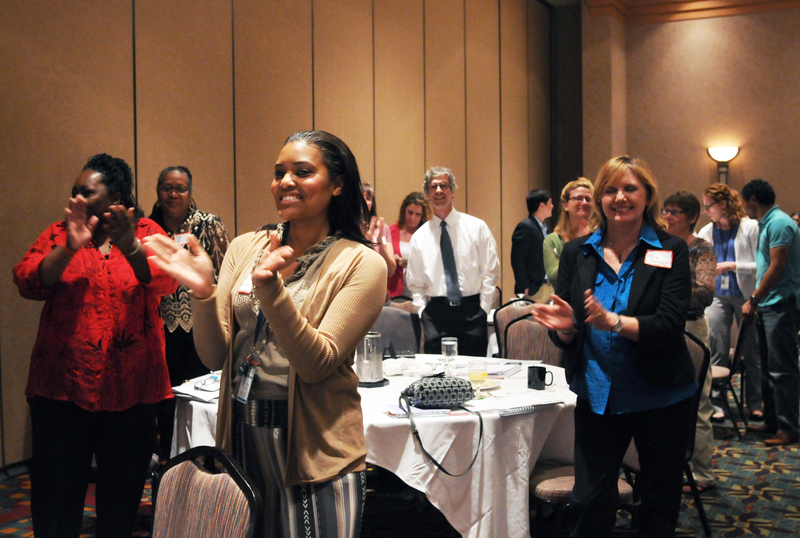 Over 75 participants in the Diabetes Strategy Forum rose to their feet and vowed to continue the fight against Type 2 Diabetes in North Carolina. The Strategy Forum hosted on May 30th allowed CHLPI to present its report to the North Carolina Diabetes Advisory Council (NCDAC), which directly advises the state government on diabetes prevention and management. The forum served a dual function as a platform for the attendees – public health officials, health care professionals, community health workers, and other stakeholders of the state – to prioritize action items surrounding diabetes prevention and management. Formal events started with the CHLPI team’s presentation of its report before the Diabetes Advisory Council (DAC). Afterwards, the team welcomed the arrival of significant contributors to the Strategy Forum. Patti Doykos and Robert Greenwald led the introductions and directed the audience attention to the final iteration of CHLPI’s presentation. Following the PATHS presentation was the keynote speech given by Dr. Ann Albright, the Director of the Division of Diabetes Translation for the Centers for Disease Control and Prevention. Detailing the trends of diabetes within the last few decades and the trajectory of the disease in the future, Dr. Albright emphasized the importance of evidence-based Diabetes Prevention Programs (DPP) implemented at the state level and scaled at the national level. After presenting the CDC’s own DPP research trial, she made a forceful case for lifestyle change interventions – mediated by the installation of trained health workers – in helping to prevent diabetes and managing pre-diabetes. The full breadth of current state efforts to prevent and manage diabetes was encapsulated by the four panelist presentations given after the keynote. The last of the panelists, L’Tanya Gilchrist, shared a compelling story of her motivations for working as a clinical assistant health provider at the Durham County Health Center. She recounted her father’s experience with diabetes: at the height of his disease, his complications had necessitated that he receive several amputations. At the climax of her story, Gilchrist determinedly asserted that no patient should ever have to experience what her father had. She described her role as a community health coach – how she is able to assist patients with literacy barriers in providing diabetes self-care and how she connects them to their healthcare providers. The Forum culminated with a strategy session, an incubator exercise for the different health and policy professionals to distill their ideas about moving forward with diabetes prevention and management. A sense of excitement and reserved optimism characterized the tone of the collaborative work as each group detailed their priorities for diabetes-related policy reform. Themes pervading the exercise ranged from improving the built environment, community zoning involving the partnership of urban planners, and methods to increase community social support. Although conversations about diabetes prevention and management touched on various subjects, the issue of reimbursement for pre-diabetes care was especially prominent, as Medicaid currently does not reimburse for the identification and management of pre-diabetes. This issue guided the forum’s final discussion as multiple attendees highlighted the imperative to expand the health focus to include pre-diabetes.